and enjoy our nightly or Saturday classes! It’s all about Fun Art, not Fine Art! One of our skilled local artists will direct, encourage and guide you in a group setting with easy to follow step-by-step instructions. at your home or other location. 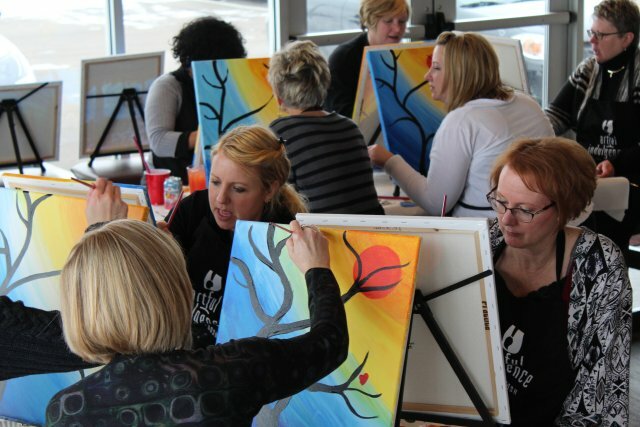 Bachelorette Parties, Birthday Parties, Retirement Parties, Bridal or Baby Showers, Team Builders and Staff and Holiday Parties are just some ideas! Guests of all ages love painting! Most classes are for adults and kids aged 12 and older. Our “Smalls and Talls” classes are for children 7-12 with an adult. We love working with seniors, building family memories, teaching at kids’ birthday parties, Girl Scouts and other after school activity groups. from the Twin Cities of Minneapolis and St. Paul to our own destination of Stillwater, Minnesota, St. Croix Valley and Western Wisconsin. 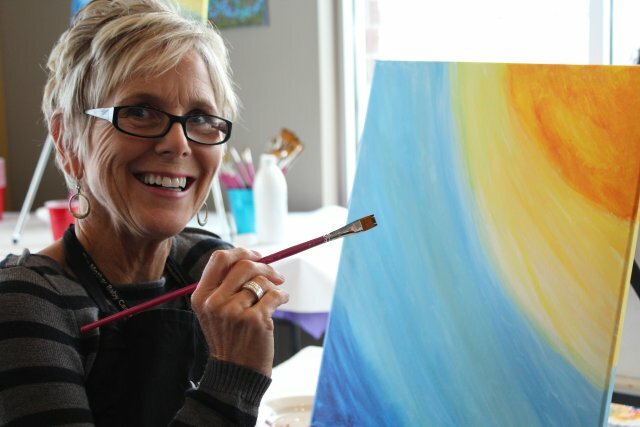 We offer a fun art activity if you are visiting from out of town as well! Gather your friends and join us for an evening unlike any other – for fun, relaxation and to discover what masterpiece your inner artist can create! Don’t have any experience? Don’t worry! Experience is not necessary! Register for a Public Party on our calendar. Or Contact us through our online form or by phone and let us help create your Team Builder, Birthday or Bachelorette Party, Family Night or Girls Night, etc. We bring the party to you at your home or business, to your favorite restaurant or one of our preferred restaurants. We take care of the details! 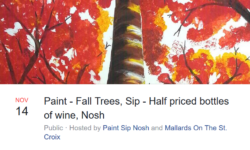 Sip (drinks) and Nosh (food) make painting more fun and add to the creative social experience! 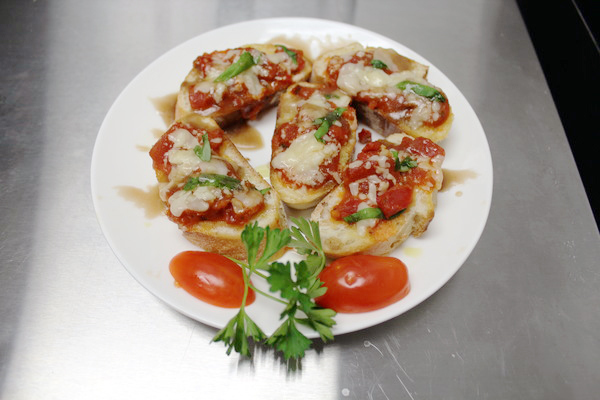 Food and beverage are provided by the restaurant, bar or event center where your Private Party or a Public Party is held. Host a Private Party in your home or at your business where the Sip is BYOB and the Nosh is Potluck! FUN Art not Fine Art!